Utilize Illinois government sponsored loan programs to purchase or refinance your current mortgage. 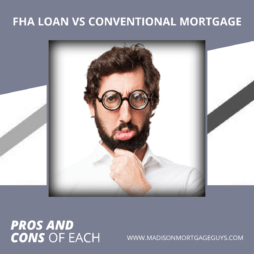 FHA loans are federally insured loans that allow buyers who have little or no credit history, coupled with limited funds available for down payment, to obtain a mortgage with a great interest rate and low monthly payments. 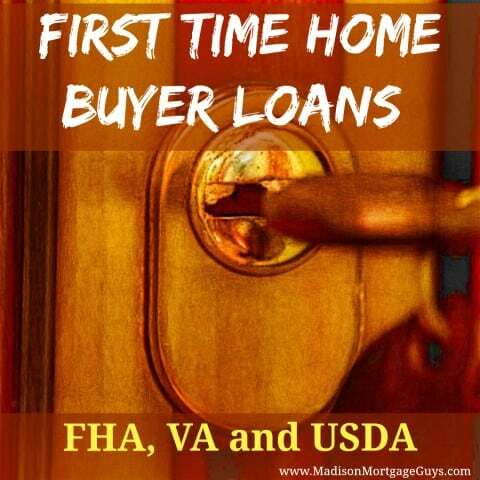 FHA home loans are available for Illinois first time buyers and for borrowers who are not first time home buyers. Illinois FHA Loans are assumable and streamline refinancing to lower the interest rate is available. Illinois VA loans continue to be eligible for no down payment requirment, of course only those few borrowers with a VA Certificate of Eligibility are able to qualify for this loan. In addition to no down payment, VA home loans have the added benefit of not requiring PMI or private mortgage insurance. VA mortgage loans are guaranteed by The Department of Veterans Affairs, but are made by private lenders to eligible veterans for the purchase of a home. VA loans offer no money down options. Illinois Rural home loans are optimal for first-time buyers in approved Rural Housing Service areas. USDA rural housing loan programs allow qualified homebuyers to get loans with minimal closing costs and no down payment. 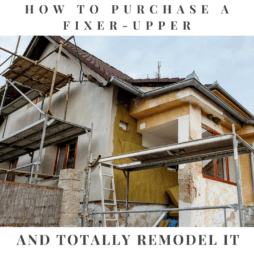 The purpose of this loan program is to enable eligible low and moderate income (up to 115 percent of the Area Median Family Income) rural residents to acquire modestly priced housing for their own use as a primary residence. The Guarantee Rural Housing Loans also have flexible credit standards, expanded qualifying ratios, no maximum purchase price limits and generous income limits. An Illinois no money down mortgage loan is an excellent choice for a home buyer, who may not have enough money for the standard conventional down payment requirement. Visit our Illinois no money down mortgage page for additional Illinois no down payment mortgage program requirements. Visit our Illinois First Time Home Buyer page to view all mortgage programs available for the first time homeowner. To see if you qualify, contact us below or apply online! VA loans are only available to eligible veterans and/or their spouses. 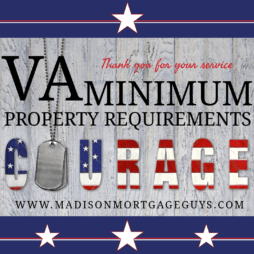 Madisonmortgageguys.com is not acting on behalf of or at the discretion of the Department of Veteran Affairs or the Federal Government. Fill out the form and a member of our team will contact you within 24 hours. Luke Skar is the web developer and content strategist for MadisonMortgageGuys.com, serving Wisconsin, Illinois, Minnesota and Florida. Guided by his 12-plus years of various mortgage marketing experience, Luke provides top-quality SEO services, effective social media management, and web development and maintenance. Luke’s career in the mortgage industry began back in 2001, as a loan processor. After becoming a loan officer for a number of years, Luke is now the sole owner/operator of madisonmortgageguys.com. To ensure that all the information he posts is fresh, accurate, and up-to-date, Luke relies on the knowledge which his years of dedication to keeping up with the constant change that the mortgage industry provides. SubscribeNew blog posts delivered right to your inbox! We are committed to providing our customers with exceptional customer service. By providing our clients with sound, expert advice as to the many different loan programs and options available, we hope to take some of the mystery out of mortgage financing. This information is provided for educational purposes only. Programs, terms, and conditions are subject to change without notice. MadisonMortgageGuys.com is not acting on behalf of or at the discretion of the Federal Housing Authority, the US Department of Agriculture, the Department of Veteran Affairs, or the Federal Government. Minnesota License - #MN-MO- "Not an offer to enter into an interest rate lock-in agreement under Minnesota law." Illinois An Illinois Residential Mortgage Licensee #MB. we are regulated by the State of Illinois Department of Financial and Professional Regulation, Division of Banking located at 100 W Randolph, 9th Floor, Chicago IL 60601. Phone #312-793-3000.